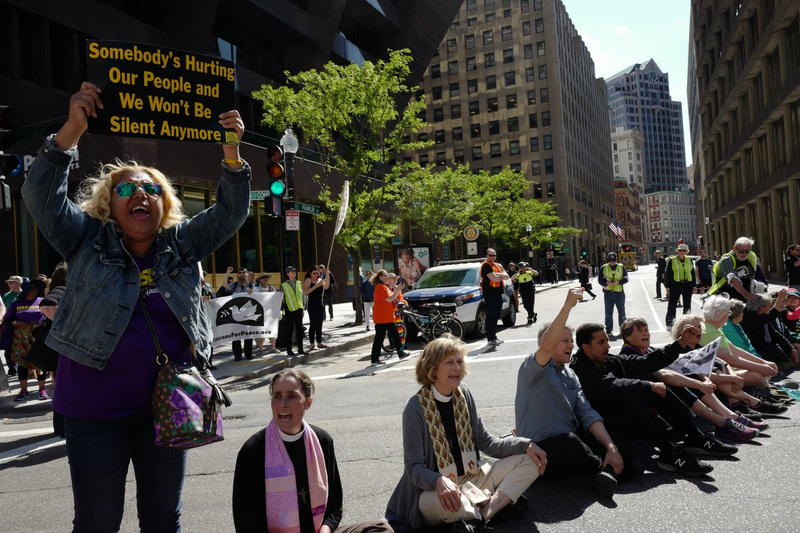 On Monday, we rallied at the state house, and then stopped traffic in the financial district for four hours, to demand a living wage and an end to the immoral situation in this country where 3 people own as much wealth as the bottom 50 million Americans. Here is Adrian Walker’s Column in the Boston Globe on our action. 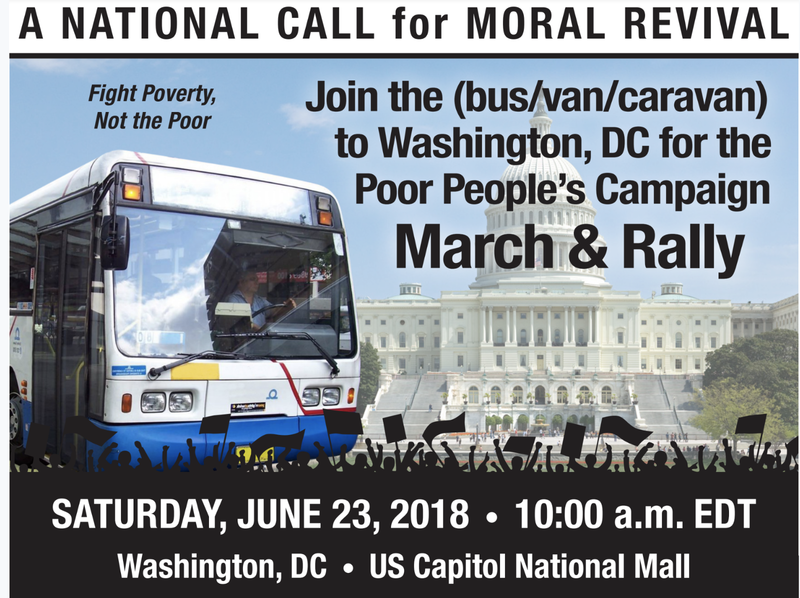 Our next action will be in Washington DC on June 23rd, when in the face of systemic racism, systemic poverty, ecological devastation, war economy/militarism, and distorted moral narrative of religious nationalism, we must engage in mass nonviolent moral direct action. We must have mass voter registration and mobilization. And we must engage in mass power building in poorand low wealth communities declaring We Won’t Be Silent Anymore!!!!! On Saturday, June 23 we will be headed to the US Capitol for a massive March to Fight Poverty in Washington, D.C. The rally will begin at 10am. Join us and get a bus ticket from Boston. If you are able to come, please sign up early for space on the bus. If there is enough demand, we can get more buses, but we cannot do that at the last minute. All the details are here. We have some low-cost and no cost seats reserved for low income folks. Round trip ticket costs run from $10 to $75, depending on ability to pay. We also have other events this week. 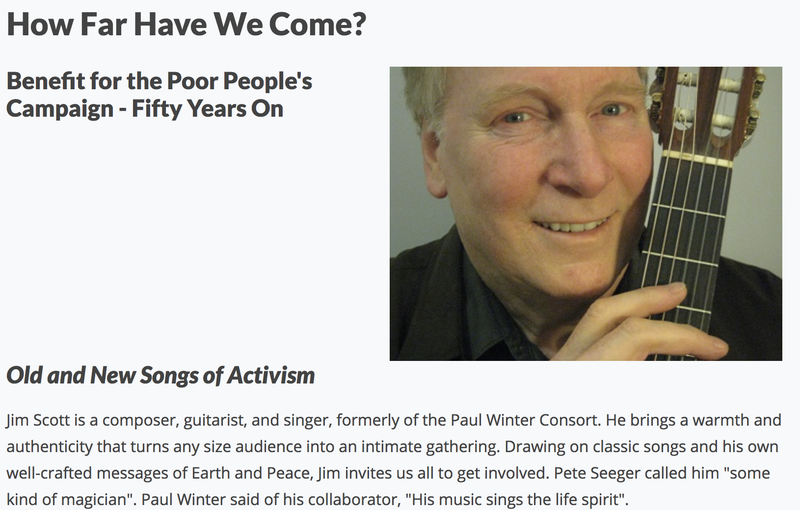 On Friday, Singer Jim Scott will headline a benefit concert for the Poor People’s Campaign in Worcester. We also ask you to continue to donate to support our work. We are subsidizing the cost of buses to Washington DC, and we will hit the ground running in our communities when we return. 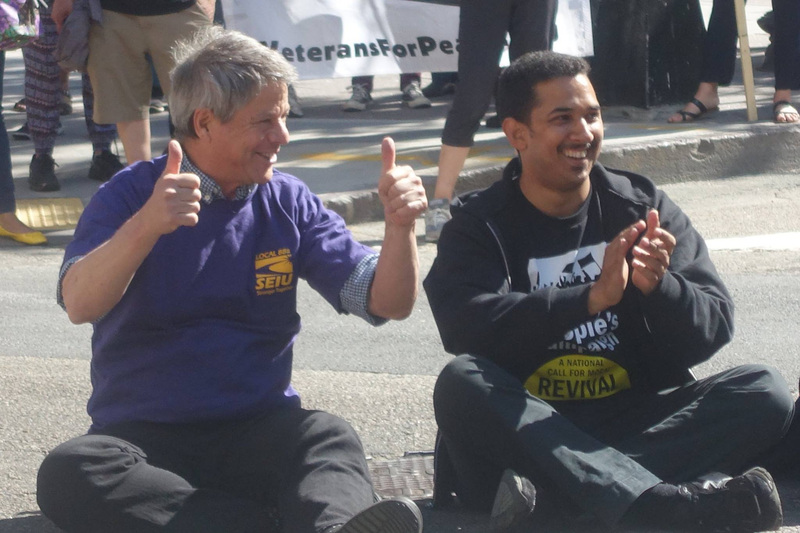 Please make a tax deductible donation to the Massachusetts Poor People’s Campaign Today. Thanks for everything you are doing to advance justice.